DinoPark and ZOO PARK Vyskov represent an ideal combination to get information about long-extinct Mesozoic giants and about fauna at present focusing on local domestic animals. DinoPark Vyskov is located in a picturesque forest park on the outskirts Vyskov, and dinosaurs literally fell in love with the environment. 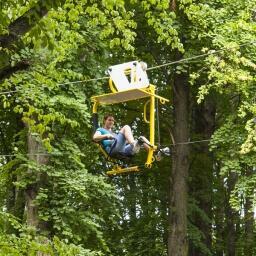 Dozens of life-size models, Cinema 4D with panoramic film in the ticket price, absolutely unique hanging cableway called DinoBike that will let you see DinoPark from bird´s eye view; and a list of attractions is just beginning, come and see. A unique road train DinoExpress will transport you to zoopark and back for free. A unique excursion over the heads of the dinosaurs. 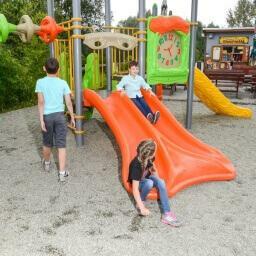 The visitors are transported to DinoPark by our special train or bus called DinoExpress. 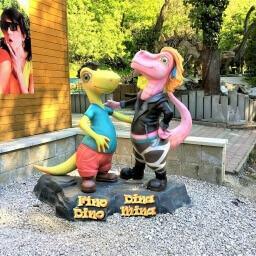 The DinoPark ticket includes admission to Vyškov Zoo. 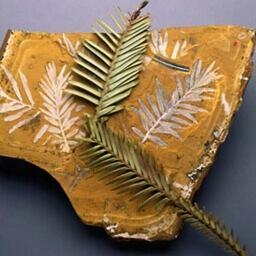 Here you can have a look at various familiar animals and more exotic ones. There are a total of 456 animals in 133 species. The biggest attraction is Grandma’s Farm, where you can walk directly among the animals and the children can pet them. The DinoPark ticket includes also visit of the unique 4D Cinema. 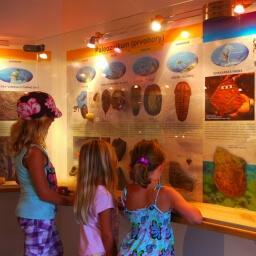 Polarization 3D glasses are lent to our visitors free of charge. * Yearly ticket is non-transferable, it is valid only for the person with the name on the ticket. We accept payments with all current bank cards. 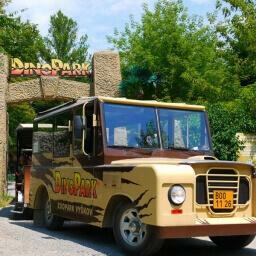 are transported to DinoPark by our special Dinoexpress. It is not possible to visit only DinoPark. 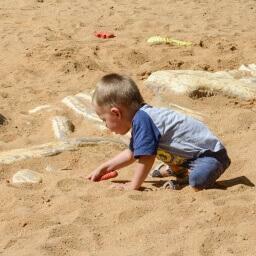 Visiting time of DinoPark is not limited. Follow streets „Brněnská“–„Hřbitovní“–„Cukrovarská“ to the main entrance to ZOO. It is approx. 300 m.
From the main road around Vyškov turn left (direction from Olomouc) to LIDL supermarket and follow the road. The ZOO is a few meters behind the supermarket. The journey through Vyškov is marked by brown informational signs ZOOPARK.